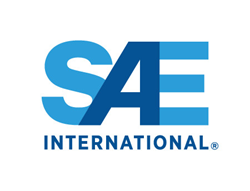 SAE International will offer three new professional development seminars during the week of the SAE 2016 World Congress. Seminar registrants get complete access to SAE World Congress activities for only $55 per day, a savings of almost $400 off the SAE World Congress on-site daily rate and a nearly $1,200 savings for all three days. April 12-13: 8:30 a.m. – 4:30 p.m. This seminar will provide in depth coverage of stack- and heap-based buffer overruns, integer overflows and underflows, command injection, Structured Query Language (SQL) injection, cross site scripting, format strings and more. These vulnerability classes account for 50% of the most critical vulnerabilities reported to the National Vulnerability Database (https://nvd.nist.gov/) from 2011 through 2015. Hands-on laboratory exercises will reinforce the principles taught in the course and give students an opportunity to practice their defensive programming skills at finding and mitigating these vulnerabilities. Attendees will receive a bootable, live CD with a pre-configured environment including additional practice exercises for honing their skills after the seminar. April 14-15: 8:30 a.m. – 4:30 p.m. While the idea of taking apart a complicated piece of hardware may seem overwhelming, with both the technical background and reverse engineering techniques presented in this seminar attendees will find that they are not only up to the task but more comfortable doing so in the future. To expedite the learning process and remove some of the potential over complexities of embedded systems, the material presented in this seminar will focus on a custom made embedded device which has been designed with simplicity of understanding in mind. At the end of the seminar, students are free to take home with them the embedded device, a starter kit of physical exploitation tools, and the pre-built work environment that was used in the seminar. This course is designed to familiarize participants with the technologies enabling advanced driver assistance systems and how they integrate with existing passive occupant crash protection systems. Attendees will learn how ADAS functions perceive the world, make decisions, and either warn drivers or actively intervene in controlling the vehicle to avoid or mitigate crashes. Examples of current and future ADAS functions, various sensors utilized in ADAS, including their operation and limitations, and sample algorithms, will be discussed and demonstrated. The course utilizes a combination of hands-on activities, including computer simulations, discussion and lecture. For information about these and other professional development courses offered in conjunction with the SAE 2016 World Congress, visit http://www.sae.org/congress/pdseminars.htm. Or, contact SAE International Customer Service by emailing customerservice(at)sae.org or calling +1.877.606.7323 (U.S. and Canada only) or +1.724.776.4970 (outside U.S. and Canada). Executive Leadership for the SAE World Congress is being provided by Toyota, and the Tier One Strategic Partner is Aisin.